8 real reasons to keep a workout journal. See how this simple and transparent activity will make your training more efficient. See how this new version allows to save weight and reps, start appropriate rest timer and get back to logging with a single click. I know that you wanted this for a long time. Meet a new and natural way to browse your training history. The new version introduces free navigation within a routine. 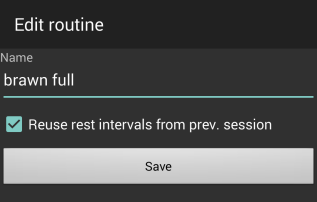 At any moment you can move to the previous exercise or skip an exercise. 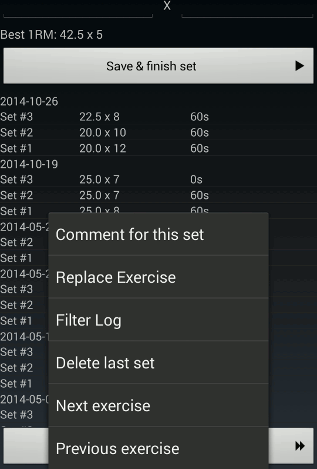 See how my new Android interval workout timer app is different from other apps. Would you like to take back control over your cardio workouts? Wonder where are posts about versions 1.6.3 – 1.6.5? Or want to see what new feature 1.6.6 brings? All questions are answered in this blog post. 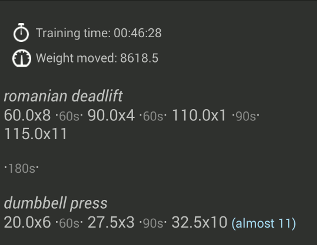 BB Workout Log 1.6.2 brings a new stat: total weight moved. In addition there are some cosmetic changes, resuming of workouts and a highly requested new option. Android Froyo version is no longer supported, but you can always download it using a link in this post. It will always remain free and ad-free. 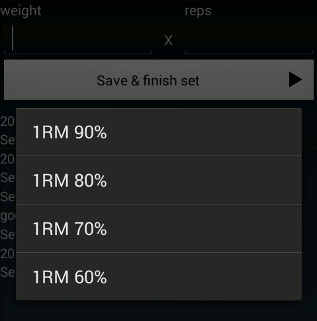 BB Workout Log 1.6.1 includes many important bug fixes, as well as a new feature for easier 1 RM percentage calculation. 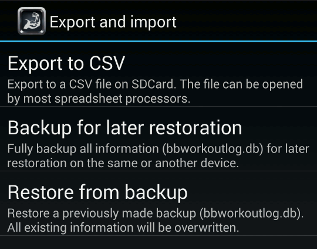 BB Workout Log 1.6 introduces a feature that many users wanted for a long time: full backup and restore. Don’t lose your training history after switching to a new mobile device.